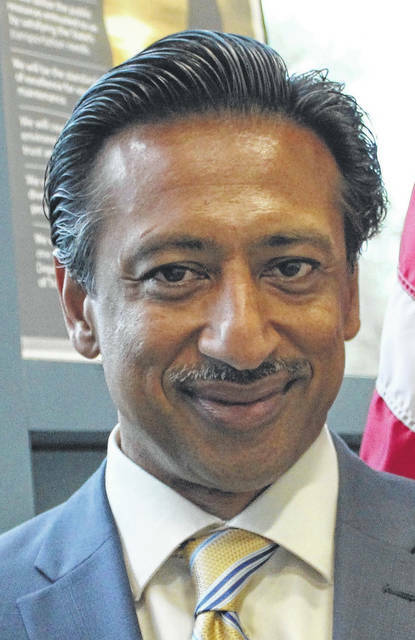 Delaware County Administrator Ferzan Ahmed will be leaving his post in November, according to a press release issued Friday by the board of county commissioners. Ahmed, who has served as county administrator since April 2016, is resigning effective Nov. 10 to take a position with AECOM, a private engineering firm based in Columbus. He has been named director of transportation, Ohio with that company. “After a lot of thought, I felt it was best for me to return to highway infrastructure management to end my career,” Ahmed said. “It has been an honor to work with the County’s elected officials, directors and staff for nearly two years. They all are true professionals and very good at what they do. Ahmed replaced Tim Hansley as county administrator, Hansley retired in January 2016. Prior to joining the county, Ahmed was deputy director of the Ohio Department of Transportation’s District 6. He joined ODOT in 1992, supervising multiple projects, including the I-71/I-70 redesign. The Board will begin a search for a replacement immediately, according to the press release.